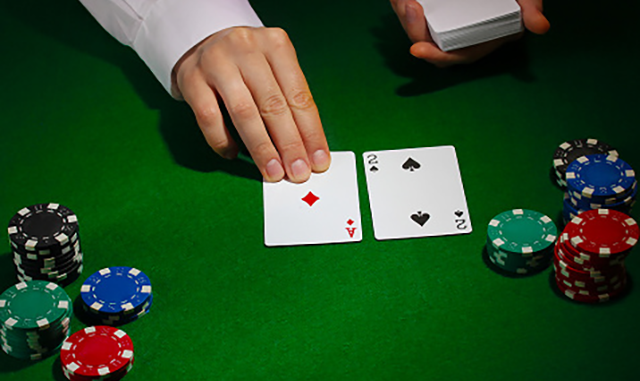 The LA Poker Classic is a tournament that is a part of the World Poker Tour. The main event is currently underway, but it is not the only event that is important here. Namely, there are a couple of other events that are completed, and we are going to do a short overview of the most important ones. Let’s take a look. The high roller event that required a $25,000 buy-in was pretty exciting, with a lot of familiar names appearing on the list. The final table consisted of four players, and Rainer Kempe managed to top this one, winning $270,905. This player from Germany has been doing pretty well lately and has managed to win a lot of other important events. Kempe was followed by Josh Gordon, who won $180,600, Jeremy Ausmus, who won $127,320, and Ali Imsirovic, who had to settle for $96,000. As you can see, all players who made it to the final table are popular poker players who have been quite active for the last couple of years. The winner of this popular side event was Cliff Josephy, who managed to win a total of $74,110. “JohnnyBax” has already managed to win several bracelets, and made it to a couple of major final tables. In other words, he has a lot of experience and this victory was just one more for him. The interest for this side event was pretty high as a total of 152 players created a decent prize pool which was shared by the players who made it to the final table. The second place belongs to Matthew Zarcadoolas, and he is followed by Bruno Furth, Elia Ahmadian, Ajay Chabra, and Dennis Stevermer. Won by Anthony Spinella, who managed to take $108,005, this event did not reach its natural conclusion as the two players made a deal during the heads-up play. Spinella’s main opponent in the heads-up was Andrew Lichtenberger, who won $105,550. The final table consisted of eight players, including Jeremy Ausmus, Larry Greenberg, Aaron Duczak, Anton Morgernstern, Kristen Bicknell, and Joseph Cappello. This event was topped by Cord Garcia, who has managed to earn $49,050. That was also the result of a deal made in the heads-up play that also included Dylan Linde who ended up second and won $47,230. Other players in this event who made it to the final table are Taylor Wilson, Sorel Mizzi, James Petzing, Anuj Agarwal, Ari Engel, Dennis Marin, and Jared Griener. These were just some of the events, and the ones that we should also mention include $2,140 2-7 Single Draw, which was won by Peter Neff, $1,100 PLO Hi-Lo, which was won by Dmitry Levin, $1,100 No Limit Hold’em, topped by Andrew Wisdom, $1,100 Omaha/Stud Hi-Lo Mix, won by Donald Halpern, and $1,100 Heads-Up No-Limit Hold’em, won by Cody Bell. Furthermore, there were a couple of other interesting events including $350 Great Wall of Chips, and $500,000 Kickoff Event.